EXTREME record highs in Scottsdale. 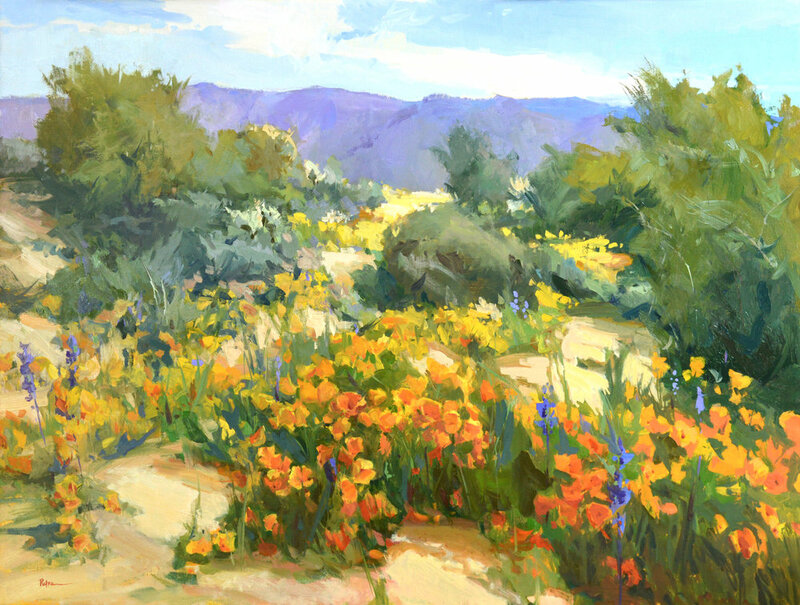 Painting in the Arizona desert this past March yielded some amazing sketches of poppies. Not only were the temps breaking all kinds of records, so too were the heights of these glorious flowers. Seems there has been more than average rainfall this year, and the flowers were happy. Lucky for me to catch them at their peak. I was told they only last a few days, so 98º did not stop me or my class. I was in Scottsdale teaching a plein air workshop when we decided to head to Bartlett Lake to find a little breeze. We were stunned to find the poppies, especially so very tall! What a lucky group. I painted a sketch to get the students excited about hanging out in the heat. This larger work is the result of time spent back home in my nice, air-conditioned studio. Often, larger pieces like this will look very tightly rendered when reduced down for viewing online. 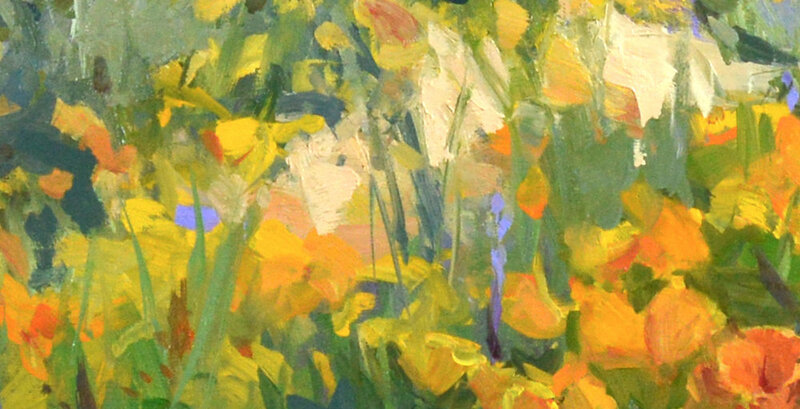 For this reason, I wanted to share a detail of the piece so you can appreciate the brushwork and looseness. 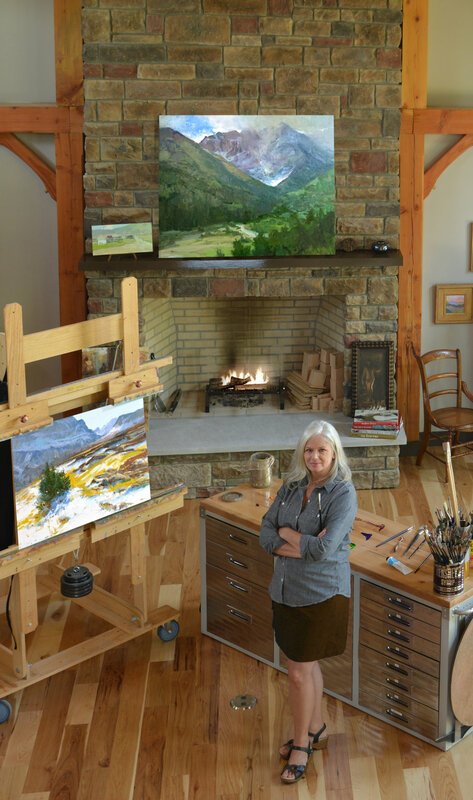 I'll be returning to teach at Scottsdale Artists' School again soon. Let me know if you are interested. Next time, we will divide the workshop into two days of field studies and two days in the studio.